The "appointed times of the nations" are another topic that many Jehovah's Witnesses are struggling to be self-critical because of the connections more or less induced in relation to the "seven times" of Daniel chapter 4. In the rare cases in which they had a chance to re-examine the application of Nebuchadnezzar's dream, you would probably have an answer like ... "Jesus also spoke of the appointed times of the nations!" The "inherent logic" would be ... "As Jesus mentioned the appointed times of the nations, the interpretation of the seven times of Daniel chapter four is correct." Before answering this question we start with the skim any objections on translation. Is it correct to translate "appointed times", as does the New World Translation, or should have been translated simply "time" as the majority of the other translations? The author of this article is not a greek expert or Jewish, but we will see how the Bible, alone , can effectively respond to this question. We can do a search and see how the book Insight, for example, explains that "kairos greek noun (pl. Kairoi) ... according to a dictionary," means a fixed or defined period of time, a season, sometimes a time necessary or appropriate to the season "(Insight volume 1," set times of the nations ") and all this can be acceptable as it is also possible that other dictionaries give different meanings with as many logical and convincing explanations. It is that the problem with human wisdom: everything is almost always the opposite of everything and is the majority to decide what is true and what is not. Obviously conscientious research experts deserve respect and a "truth" conquered with effort and discipline is certainly more valuable than a "truth" simply taken or prepared by others. We Christians, however, we have something more than human wisdom. 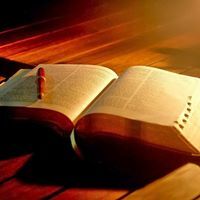 We have the Word of God and if something "is not clear" what is simply because it did not arrive on time or have not studied or meditated enough about this work extraordinary. That the more correct translation is "times" or "appointed times" has absolutely no importance because it is obvious that the time is fixed or predetermined. To think that the time given to Satan to act is not fixed, that is predetermined, it would say that he could have acted undisturbed for as long as he wanted. It is absolutely logical that if Satan challenged God's right to rule mankind and the fidelity of the same human beings, God has given him the time determined to prove his accusation. Unlike Satan might say, and continue indefinitely to say "Give me more time ...". The context of Luke 21:24 speaks of the destruction of Jerusalem and says it will be "trampled on by the nations until the times of the Gentiles be fulfilled" and also the term "finished" means that there was something predetermined. The same term, "accomplished," is used by the Lord at the time of his death recorded in John 19:30. All this was predicted many years before, and in fact people reflexive and scholars of the Hebrew Scriptures could recognize who was the real reason of this Messiah. In the same way the "times of the nations" are accomplished in the moment in which exhaust their time, which, evidently, is determined. If the purists of the ancient greek is more properly translated "times" or "appointed times," we let them argue. We are interested in the Bible's message. Of course the real "issue" that many would like to pull out after this diatribe is to try to understand whether translating "appointed times" we have wanted, somehow, to create a link with Daniel chapter four. In practice, one wonders if the translation want to tell Jesus what he says is not that ... "Jerusalem will be trampled on by the nations until the appointed times of escritti in Daniel chapter 4 are fulfilled." Again we can say that the question does not concern us because it is always in the Bible that we must look for the answer. If the Bible had actually explained that the seven days of the tree referred to the time given to the nations to take action before the coming of the Kingdom of God, then we could also discuss whether in Luke Chapter 21 Jesus made a parallel with those scriptures or not, but since Daniel chapter four absolutely not talk about this , the matter dies at birth. What Jesus said, "times" or "appointed times," he could not, however, refer to Daniel chapter four. Now let's see what the Lord wanted to say and when and how to fulfill his words. Meanwhile it is correct to conclude that the words of Jesus are not limited to the time of the destruction of Jerusalem to the nations, after 70 CE, continued to act coming to the present day. Their time, therefore, has not yet been accomplished. So we have to understand the two parties involved in this statement: Jerusalem and the nations. For the first subject we have a problem. And 'the literal city, which not surprisingly there again in the end time, or is it God's people as a whole? Many would say "it is the people of God," but the answer is not so obvious, and for various reasons. One of these is that when Jerusalem was trodden down until you get to the destruction presumably there were no Christians. On the other hand, if the literal Jerusalem, one should ask why, today, a city that should not have more nothing "sacred" rivestirebbe so important in Jesus' words. Well, the answer may surprise us. The appointed times of the nations end up at the beginning of Armageddon because that is the time you will be destroyed. Only then they will have outlived their time. When Jesus takes power nations have not yet run out of time to act and this is clearly seen from everything that happens from Chapter 13 onwards. This makes us understand that it is wrong to associate the term of the "appointed time of nations" in the presence of Christ. If the appointed times of the nations ending at Armageddon and not the presence of Christ, then we must take the book Revelation and see what the actors involved and what happens in the vicinity of Armageddon. We know it is God's people to be trampled savagely until the last moment of the satanic system. Jesus referred to this incident when he said that Jerusalem would be trampled on by the nations "until the appointed times of the nations were not made"? No, and we understand why if we identify other possible person involved in the matter. We have said that talking about Jerusalem, we might refer to the literal city. What other subject and which event, as in Revelation, heralds the beginning of Armageddon? If we just read what is written in chronological order, the answer should be obvious: the destruction of Babylon the Great. In several previous articles we discussed again the identity of Babylon the Great coming to the nation of Israel (which includes Jerusalem, of course). If Babylon the Great is, therefore, Israel, in what sense was trampled on by the nations from 70 CE until now? As we have seen in Article dedicated to Babylon, he reborn Israel not for God but for the political intrigues of nations. Although his "rebirth" was well received by the world's religions as the return of the true Israel, it is a sham. The founders of this new Israel did not give honor to God (many of them are not even believers), most do not appreciate the God of the Bible, but they replaced it with their traditions (cf. Matthew 15: 6). They sought refuge and protection in the nations of this world. Of the Israel remained the only geographical territory but the people who make up this nation form actually a modern Babylon. We can therefore say that the literal city of Jerusalem, as well as all of Israel, is currently trampled on by the nations of the world. How long will be trampled? It 'true that this destructive action is accomplished by the United Nations (ie part of the occupants) but remember that this event, after the period of weeping and mourning hypocrites rulers of the world, will mark the beginning of Armageddon. From that moment on, no one can step on Jerusalem. Clearly, at this point, we have to stop for a moment. If Israel is Babylon the Great, it is clear that it should not have any positive meaning in his description (at the bottom of Babylon has always been the greatest enemy of God's people) yet Jesus, the basic writing of this article, mentions this event as if it was the liberation of Jerusalem. It is as if to say ... "Jerusalem will be trampled on by the nations until at some point ... but then, finally, will no longer be trampled." It becomes easier to understand this expression if we understand that the nation chosen by God to His people still has its importance. A nation, understood as a geographical territory, per se has no merit nor guilt. So it is not the geographical territory to be condemned but people who live in that territory. The people who occupy that territory are no longer the people of God (and since they have become squatters denied) but the territory chosen by God was still God's chosen. We should think that from the moment the land chosen by God and was later usurped by another people, God will destroy the people and also the permanently territory? So it is no coincidence that the persecution of God's people, the real one, their terms to coincide with the destruction of Babylon the Great. When nations have exhausted their time, which includes both the trampling of Jerusalem that persecution, that Armageddon will destroy this beast, and all compact peoples in the fight against the Lamb. By connecting properly to the scriptures, we realize wonderful How long this prophecy and what was diminished in an attempt to demonstrate an unprovable date? we will be among those gathered "from the four corners of the earth"? Footnote *: Apart from the fact that the modern nation of Israel was founded in 1948, the original territory was still trampled from 70 CE until today. Using the word "until" Jesus leaves well understand that this trampling would have no respite, and so it is not correct to say that Jerusalem was trampled by his "re-foundation" precisely in 1948 until today. Whatever people has settled in the territory of the original Israel (Jerusalem) over the past 2000 years, was no longer the people chosen by God and therefore we can say that the territory was trampled and desecrated by Gentiles. What are "the appointed times of the nations"?